Thank you for your kindness & support. It is deeply appreciated. Wow! That’s really neat. I haven’t tried to design anything. It’s stitching up really nicely. Sounds like you got lots of work done! 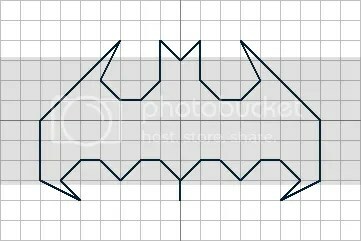 Thanks for offering the batman logo. That was really nice of you. Batman looks good to me. Excellent outline Anne! Congratulations – that little boy is going to be thrilled!! Oh, I missed you so much at Celebrations!!! We need a needlework festival somewhere for bloggers, don’t we??? Oh gosh, we need you to come up to New Hampshire next May for the festival! It is just tooooo much fun!